Jason has extensive experience as a workplace investigator, investigating a range of complex issues including fraud, bullying, harassment and sexual misconduct. He has also helped many organisations develop strategies to encourage a positive workplace culture. Jason leads Worklogic’s Sydney office. Jason Clark is a highly skilled workplace investigator, with significant expertise in workplace investigation and criminal investigations in the Australian Defence Force. Prior to joining Worklogic as Director (Sydney), Jason was Joint Investigation Office Commander for the ADF Investigative Service. Acting as mentor and leader, Jason managed a team of five investigators in a dynamic environment, handling complex cases. Since 2007, Jason has led and been involved in the investigation of serious incidents involving harassment, sexual assault, bullying, workplace violence, drug and alcohol misuse and fraud. He is an experienced incident scene investigator, utilising contemporary and forensic procedures to identify and collect relevant evidence, and has appeared at numerous judicial hearings. He has also spoken at numerous conferences on topics including bullying and contemporary investigation techniques. 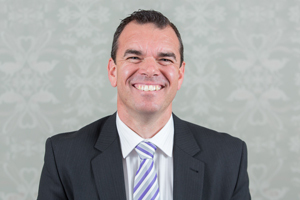 Jason utilises his strong analytical skills to develop realistic and robust solutions to workplace misconduct. With a thorough understanding of victimology, Jason has an acute awareness of the impact inappropriate workplace behaviour can have on an organisation’s reputation, functioning and people. He has provided training on investigative techniques, particularly in the areas of witness interviewing and evidence collection. He has facilitated compliance initiatives covering policy topics such as bullying, ethics and fraud awareness, misuse of drugs and alcohol and anti-fraud practices. Jason is passionate about investigating misconduct and utilising his skills and experience to assist workplaces to resolve complaints and concerns, and to initiate positive action to prevent future problems.